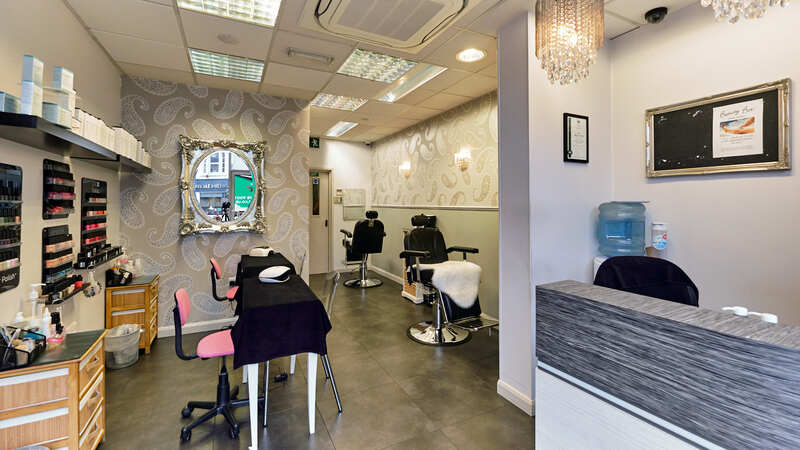 At Bristol’s conveniently located Beauty Box in St Michael’s Hill and Clifton Down Shopping Centre, the latest IPL hair removal, skin rejuvenation, acne, rosacea and red vein removal treatments are the latest addition to our already extensive treatment list. Light-based hair removal treatment for all parts of the body (upper lip, chin, legs or anywhere you have unwanted hair), can lead to a lasting confidence of being hair free and give you the freedom you only previously dreamt about. The treatment is suitable for both men and women. Women can say goodbye regular waxing and shaving, and for men a hairy back or chest can be a thing of the past. Intense Pulsed Light (IPL) works by selectively damaging and killing actively growing hair follicles. After some repeat sessions, almost all of the hair will be permanently removed. IPL is the next step on from laser and electrolysis, is more comfortable, and you will need fewer treatments. After cleansing and preparing the skin the IPL is applied. Most people feel a little warmth in the area, while some feel a slight ‘nip’ sensation. The overall feeling is so light that the IPL may be used on any part of the body. Other than the skin possibly showing a slightly redness after treatment, there are no side effects and it disappears almost immediately. Unlike electrolysis, IPL is a non invasive treatment and very localised. Hair grows in cycles and only hair in its growth phase (so to speak) can be treated. IPL treatment destroys only actively growing hairs, so you will need to return for a number of repeat sessions in order to destroy all of the hair. Typically this is between seven and ten depending on the body area and the growth rate of the hair. Speak to our staff for guidance on this prior to your appointment. Large numbers of hairs can be destroyed at a time, so the upper lip may take only a few minutes to cover, while two full legs may take up to an hour. Time also needs to be spent preparing your skin prior to the light therapy and properly tending to it after the session. Results are more apparent after the second session because at this stage much of the hair is in growth phase and because the hair does not immediately fall out after each session – it can take between five days and three weeks depending on the hair. Three to four weeks break between sessions to maximise the new hair growth is recommended. IPL works for all skin tones and for all hair colours, although darker hair on pale skin is more likely to provide the most obvious and speedy results. Our Prices for IPL Hair Removal on men and women NB: A prior consultation is the only way to be certain as to the price of your treatment due to different body shapes/sizes and hair growth. FOR LASER HAIR REMOVAL, PLEASE SEE OUR DEDICATED ‘YATE SALON’ TAB. A common misconception about intense pulsed light hair removal is that it’s a one time treatment and the hair is gone forever. That couldn’t be further from the truth! But are these hair removal methods really permanent? Let’s clear up the confusion. Intense pulsed light, or IPL, is the process of hair removal using a specific combination of pulse and wavelength of light that damages the hair follicle. With that being said, IPL treatment pain has been compared to a small rubber band snap on the skin, or a grease splatter like when you are deep frying and get a little bit of grease on your hand/arm. So, it’s actually not that bad if you think of it in those terms. Redness or irritation after the treatment should only last a couple hours after. To minimize the initial pain and swelling post IPL treatment, some clients will take an anti-inflammatory such as ibuprofen before going in for the process. Are IP Light Treatments Permanent? The quick and complicated answer to that question is: Yes and No. IPL will seriously reduce the amount of hair that grows back in the treated area. Patients have reported that, although it eventually grows back, it is severely limited and the hairs are much finer that they were prior to the procedure. 80 to 90% of the volume of the area treated is permanently removed, so technically it’s not 100% effective. IPL is not a one-time visit. It takes multiple applications for you to have the best result. Generally speaking, clients return for around 6 treatments initially, then repeat visits down the road once the hair is given an opportunity to reappear. If it does, and you are not happy with it, you can have repeat treatments done. Initially, a skin patch test and consultation (£25) is required, the cost of which is redeemable against any course of 6 treatments or more.